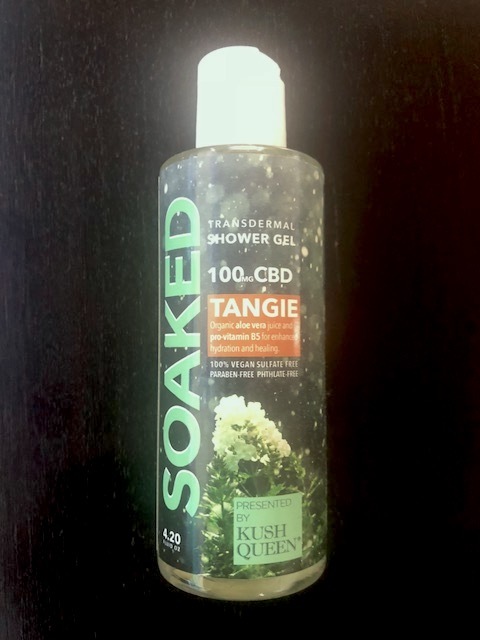 Kush Queen Soaked Transdermal Shower Gel was created to provide a easy method of making cannabis part of your routine. Powered by Amplifi™ Nanotechnology, Kush Queen Soaked will allow you to experience all of the benefits of this shower gel immediately. This transdermal bath gel is scented with notes citrus notes of pink grapefruit, lemon, lime, and mandarin, and it leaves behind a cool, subtle scent and refreshing zest. Why Should I use the Kush Queen Soaked CBD Shower Gel ? Making cannabidiol (CBD) a part of your lifestyles would be a great decision concerning your health and wellness. CBD is rapidly gaining popularity in medical and recreational circles, as a natural occurring compound in cannabis with a whole lot of amazing properties. When incorporated into our daily lives, CBD can help regulate pain, blood sugar, inflammation, seizures and more. It has antioxidant benefits that help in the treatment of immune disorders and cancer. Kush Queen Soaked Transdermal Shower Gel is 100% vegan and made with 73% certified organic ingredients. All Kush Queen’s topicals are formulated with ingredients selected with the most sensitive skin in mind. CBD shower gel!!! I’m in love with this product! So lovely gel!! thanks for fast deliveryyyyyyyyyyyy!! CBD shower gel is AWESOME!!! Never forget it’s effect! my favorite!! !